Bowlers learn the basic rules for Ten Pin Bowling, learn to take turns, while socializing with their friends. We keep track of their scores and awards are given out seasonally at the Sp. Olympic Candlepin Bowling Tournament in March. We bowl at Timber Lanes Bowling Alley in Abington. Cardinal Cushing Scout programs offer wonderful opportunities to form friendships, be a part of a group and learn many helpful life skills. The Girl Scouts work on a variety of badges and community-based activities. Our Girl Scout leader is from the Girl Scouts of Eastern Massachusetts and works closely with our Assistant Recreation Director. 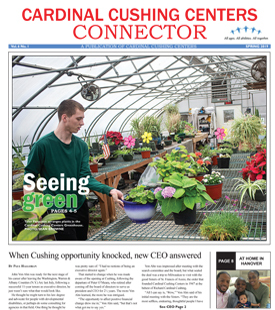 Cardinal Cushing Boy Scout Troop 376 has been a part of Cardinal Cushing Centers for more than 25 years. Troop meetings are conducted with an opening ceremony and closing ceremony and include a different activity each week. Girl Scouts: Tuesdays, 6:00-7:00 p.m. Boy Scouts: Mondays, 6:00-7:00 p.m.
Join the Latin dance fitness craze with our certified Zumba instructor for a fun filled hour of dance and exercise. Get in shape with this fun and exciting fitness routine. All you need – sneakers and the ability to shake your hips! Zumba takes place in Cardinal Cushing Centers’ gym..
Our Cheerleading squad practice each week, cheer our Soccer and Flag Football Teams, participate in Special Olympics and attend the Flag football/cheerleading tournament held at Gillette Stadium. Children ages 2-7 years old with intellectual disabilities are welcome to participate in our free, unique sports and play program focusing on fun activities designed to foster mental and physical growth. This program is an early introduction to sports and the world of Special Olympics. What: A FREE, inclusive, unique sports & play program facilitated by trained volunteers, focusing on fun activities important to mental & physical growth. This is an early introduction to sports & the world of Special Olympics. When: 10 week sessions take place on Saturday mornings from 10:00 a.m. – 11:00 a.m.